Are you tasked with moving workloads to the public cloud? Have you run into challenges leveraging the public cloud because you haven’t found an ideal way to migrate your data to the cloud? Often traditional tools are not ideal and can make data migration a monumental and time-consuming task. 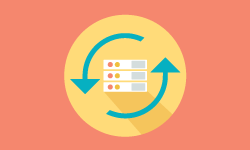 If this sounds familiar, watch this on-demand webinar, to find out how NetApp can help you fulfill your data migration needs with NetApp® Cloud Sync. Cloud Sync is a new data migration service from NetApp that allows you to synchronize your file services data to the cloud, as well as from the cloud to a system of your choice … and more.